This straight 6ft short bar is "rackable," meaning it can fit on any power rack or squat rack that is made to take 7ft bars. This is because the inside length remains the same and the sleeves are cut short to about 10" long. So it works good in a home gym with limited space. 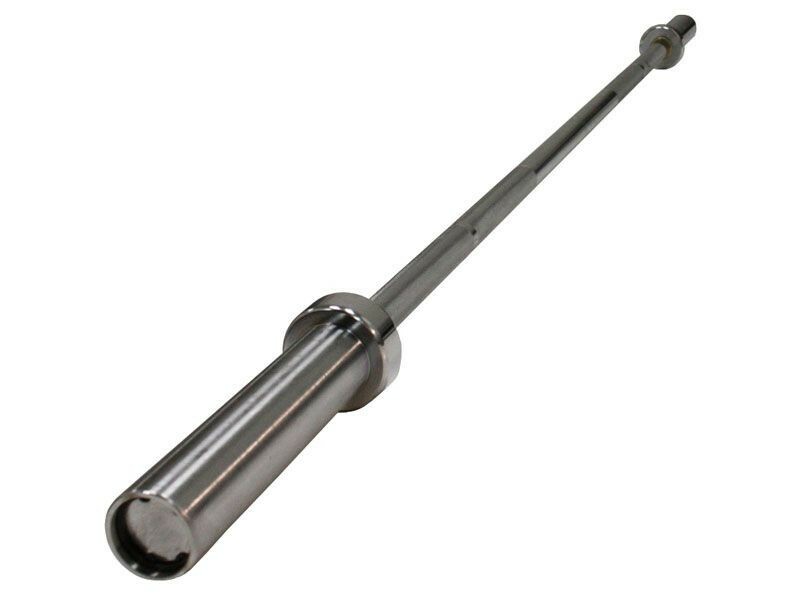 This 6ft barbell works well for a practice or lightweight olympic lifting bar, as long as you won't be dropping it doing cleans. It's not strong enough for that. It does have snap ring secured sleeves, so it's a step up from an economy bar with weak bolts on the ends. The sleeves rotate well on the bronze bushings, so as an olympic lifting technique bar it works good, especially if you don't want to get a women's bar that has a thinner 25mm shaft.